Paul Finlayson says the number of recent stories in the media about a shortage of IT workers have him scratching his head. Despite 10 years of experience in the technology industry and two master’s degrees under his belt, the Calgary resident says he still can’t find anything in his field – ideally, a position in hardware or software business development. Finlayson said he’s doing the legwork familiar to the unemployed – networking, job coaching, taking part in workshops, and even taking advantage of his U.K. passport to try and find a position in England. But so far, he’s had no luck. Finlayson’s experience stands in contrast to the results of the Canadian e-Business Initiative survey, released late last month. It found that despite an apparent glut of qualified IT people in today’s job market, many of Canada’s estimated one million small- and medium-sized companies (SMEs) say they can’t find the right skilled people to beef up their technology portfolios. More than 20 per cent of survey respondents blamed a lack of qualified staff as the main barrier to further expanding their e-business projects. Such companies are often looking for people who can expand static Web sites so that they can interact better with customers and partners via electronic data interchange, or help forge online supply chains. Ron McClean, director of academic computing and technologies at York University’s Schulich School of Business in Toronto, and an author of the study, said the apparent mismatch has as much to do with the way IT workers are educated as it does with the SME hiring practices. Often, smaller firms look to friends or relatives of current employees to kickstart their IT projects, “but as soon as they moved into the next level…these people couldn’t do it,” McClean said. McClean said Canada’s IT educators need to re-examine their programs to ensure that the needs of all employers are being met and that students leave their institutions more well rounded. Finding talent wasn’t the only issue facing SMEs. The study also identified a lack of e-business software and services tailored to the needs of smaller companies as another barrier. McClean said recent efforts among software vendors to strip down their packages to make them more appealing to resource-strapped SMEs aren’t helping. 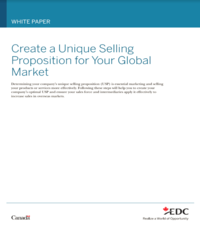 Instead, small companies are more interested in vendors that specialize in their market. “What they are looking for are solutions built for their (needs). That came up loud and clear,” McClean said. That’s because even simplified versions of tier-one software suites are still very complex, and expensive, by SME standards, he added. The study is part of a larger effort by the two-year old Canadian e-Business Initiative -a voluntary, private-sector led-organization – to promote Web technology adoption among Canada’s smaller companies, and thereby make Canada more competitive on the global economic stage. McClean said the group has issue recommendations to help address the problems it outlined, and will revisit the issue by late spring 2004 to chart progress.